It’s interesting to me that the insurers are flagging driverless cars as a potential business risk due to the possibility that such cars might actually reduce the number and severity of accidents, and reduce the demand for insurance products. Uh, what? As long as there are fast-moving hunks of metal and mass chugging down roadways, there will be a need for insurance. 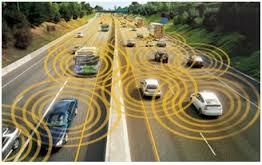 But what if driverless cars actually reduce the number of accidents, injuries, and property damage? Isn’t that what the insurance industry has been wanting to do all along? I don’t necessarily think that all insurers are viewing driverless cars as a threat, just because they list it as a potential business risk in their mandatory corporate filings. More likely, it’s an acknowledgement that there will be some volatility brought about by such a major innovation. As the WSJ article points out and my previous blog entry alluded to, when driverless cars are involved in accidents the insurance burden may shift from the personal auto insurance policy to the manufacturer’s commercial general liability policy because the “at fault” aspect of the accident may have more to do with the software than the person sitting inside the car. Still, not knowing how all of this will shake out and affect the insurance premiums and claim payouts most certainly is beginning to enter the stream of consciousness in the insurer board rooms and management suites. This entry was posted in driverless cars, Insurance and tagged driverless cars, insurance on March 10, 2015 by drdavidallenbrown. I grew up in the early 1970s with Saturday morning cartoons, and even George Jetson had to pilot his futuristic flying car. I sure miss that guy. Today’s real-world auto industry is not yet producing flying cars, but there are advances in automated, self-driving technologies. Some automobiles are now available with automated parallel parking assistance, and there is considerable testing being done with technology to control braking, acceleration, lane control, and collision avoidance. Google has a grand vision of cars with no steering wheels or brake pedals that totally drive themselves. I’m fascinated by major technological developments such as this. So today, I’d like to share a few random thoughts that occur to me as I ponder how this transportation evolution might affect the insurance industry. First, it is clear that the legal environment has some catching up to do before the more ambitious aspects of this technology arrive at your local auto dealership showroom. Regulators in states such as Florida and California are still drafting rules to govern what the auto industry will be allowed to bring to market and the degree of testing that will be required before doing so. From an insurance industry perspective, a number of questions come to mind. For instance, if/when your self-driving car does hit something or someone, who is liable? You, the “non-driving” owner of the vehicle? The manufacturer and autonomous driving software developer? Perhaps both share culpability for the accident, but then how are the damages assessed and allocated? Perhaps this brings about the dawn of a major evolution in the concept of no-fault auto insurance laws. Some staunch supporters of the autonomous driving technology might argue that collisions will become nearly an extinct possibility when every vehicle on the road is autonomous and constantly sensing and adjusting to its surroundings. Nice thought, but I’m not buying it. I’m a recovering software developer… but I still see “bugs” in my sleep. Now consider this… When self-driving cars find themselves on the verge of an impending collision in a dense highway situation, there will inevitably be times when there is literally “no way out” and someone is going to collide. In that situation, how will the self-driving software choose what to hit? Will it sense which opposing vehicle is “less vulnerable” to damage/injury (e.g., SUV vs. compact)? Will vehicles “broadcast” the number and age of its occupants so that in such a “no way out” scenario cars carrying families with young children might be spared? Is that even morally and ethically just? How far will we be able to trust the technology? I’ve already expressed my skepticism regarding bug-free software but what about the simple matter of sensors that could fail or be impaired in poor weather conditions. Who is liable for a sensor that fails because of dense fog or rain or a lack of cleaning? I’m only scratching the surface here. I expect that we will see a gradual evolution of self-driving car technology rather than rapid leaps. There are simply too many questions such as those I’ve raised here. Regulators will take a cautious approach and the driving population will probably see incremental implementations of autonomous driving technologies such as we’ve seen with the parallel parking assistance feature. Likewise, the automobile insurance industry will slowly evolve and adapt as the technologies appear in the marketplace. No doubt there will still be thorny questions to work out and that will lead to insurance coverage adaptations and new case law, especially with regard to the liability aspects. Fun stuff, but I still miss George Jetson and his flying car. This entry was posted in driverless cars, Insurance and tagged autonomous cars, insurance, self-driving cars on October 31, 2014 by drdavidallenbrown.